1958 HRG Buchanan Holden "Godfrey Special"
1958 After bad accident reappeared as the Godfrey Special, fitted with a lightweight Buchanan body. 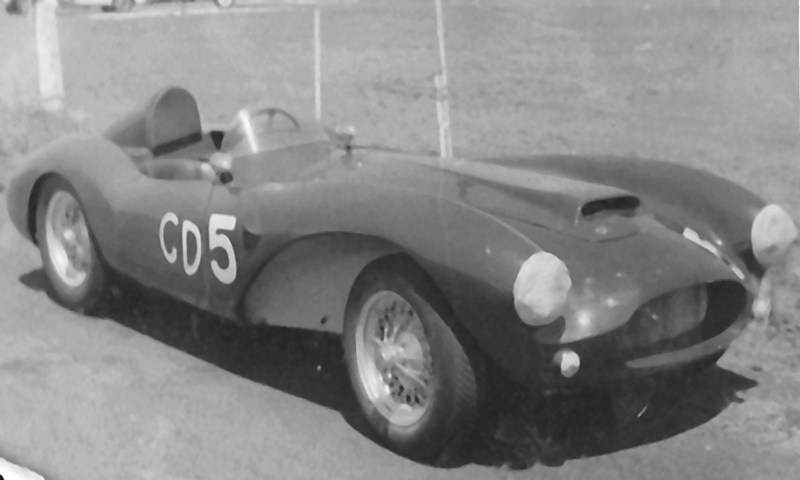 1958/59 Raced at Strathpine, Lowood, Bathurst and Leyburn by Jack Edwards. 1960 Bought by Joe Marano from Brisbane, Repco Hi-power head was on car when purchased. 1963 Rebuilt by Joe as front cross member was cracking, body removed, engine rebuilt. 1964? Sold to Toowoomba, Repco headed engine removed and put in speedboat. 1970's Turned up in Adelaide and rescued by Ted Newsome from under a peach tree. 1980 Jim Russell commences restoration. 1983 Sold to Ron Hunt of Woodonga who raced it at Mt Tarrengower Hillclimb in October. 1985 Acquired by Mike White and shipped to UK in March 1986, full restoration and FIA papers obtained. 1986 on Raced at hillclimbs including at Prescott, Loton Park and Shelsley Walsh. The original HRG 1500 chassis, number 174, was laid down on September 2nd. 1948, however it wasn't until February 21st. of the following year it was completed with engine number C1085 Sc and axle number 200/2/A. It was the first of three exported to Brown & Dureau in Melbourne Australia where cars were fitted with locally made bodies, in this instance a special body was built for the chassis. Come 1951 and Greg McErvin was the first owner, entrusting maintenance and development to Don Reimann. It was raced successfully at Woodside, Sellicks Beach, Port Wakefield, Fishermans Bend etc. Independent front suspension and hydraulic brakes were fitted. 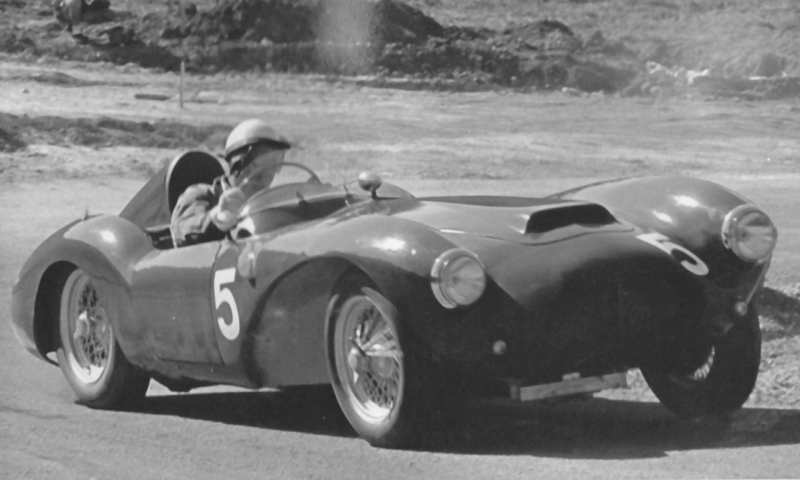 In 1954 Don Reimann bought the car from Greg and sold it on to Morry Maurice who continued to race it until the engine expired. 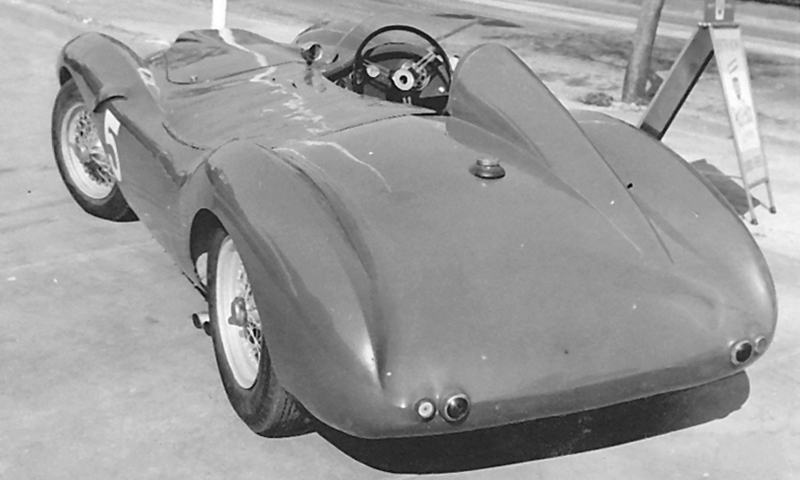 By 1955 Reimann fitted a hot Grey Holden engine and the car became known as the Ryman Special racing in Western Australia at Caversham, Northam etc. It was advertised for sale in April 1956 by Morry and described as the fastest special in W.A. Eventually it ended up in Jack O'Dea's hands in Victoria who raced it while advertising it for sale in November 1957. 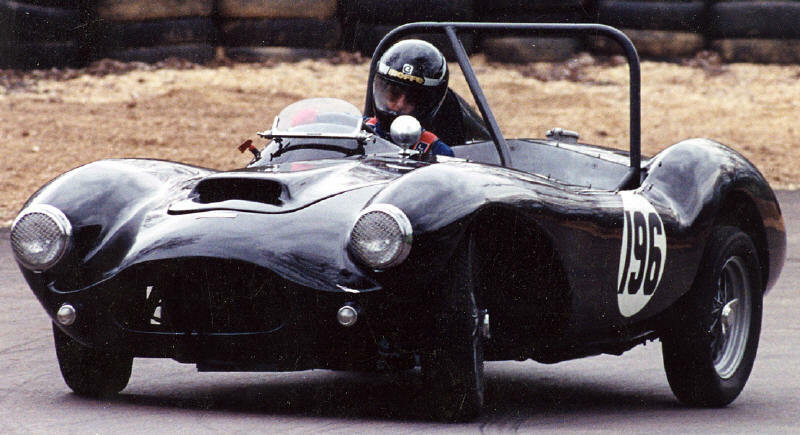 After reportedly suffering a bad accident it wasn't until May 1958 that the HRG chassis reappeared, this time clothed in a lightweight Buchanan racing body. 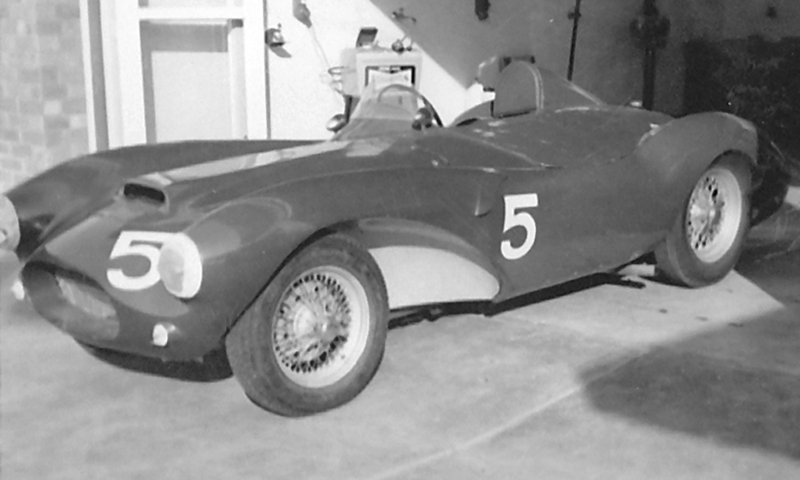 Now known as the "Godfrey Special", it was owned and raced by Jack Edwards, Bill Whittaker subbing for a few events. A string of races at Lowood, Strathpine, Toowoomba and Bathurst followed in 1958/59 until the car was next seen in the hands of Joe Marano at Strathpine in 1960. He eventually put it up for sale in March 1961 advertising it as a Repco Holden. It did not sell. Joe rebuilt the car after the subframe that held the front suspension was found to be cracked and moving around. he removed the body and had a new and stronger subframe fabricated and refitted. He rebuilt the engine at the same time.....rings, bearings, etc. He actually did his mechanical apprenticeship at Holden way back in the late '40's so he knew those old grey motors inside out. It was finished in 1963 and appeared in Joe's hands at the Burleigh hillclimb. He also campaigned it at Lowood. The Repco Hi-power crossflow head featured exhaust pipes exiting on the left hand side of the car, as can be seen in the picture after the 1963 rebuild was completed. He sold the Buchanan to a car dealer friend in Brisbane called Blair Shepard who was also a well known speedway racer, but he on sold it to someone out near Toowoomba. The new owner then removed the Repco head and fitted it to a speedboat. The car disappeared for a few years until surfacing under a peach tree in a suburb of Adelaide in South Australia. Ted Newsome dragged it out and back to Melbourne where it eventually passed into the hands of Jim Russell who commenced restoring it in 1980. By 1983 Ron Hunt in Woodonga had acquired the car and competed at the Mt. Tarrengower Hillclimb in October. Finally in 1985 the HRG Buchanan was to find a long term home back in the UK, Mike White acquiring the car and shipping it home in March of 1956. After years of neglect a full chassis up restoration was undertaken. The car emerged with the UK registration of TFO 643 and full FIA papers. Mike focused on hill climbs competing at Loton Park, Prescott and Shelsley Walsh. Chassis - HRG 1500 #174, modified front section for independent suspension, roll cage.